Harness the power of oxygen with this super-convenient, fast-acting spray stain remover! It clings to fabric fibers, diving deep into problem laundry stains and odors with a unique formula that begins to remove stains on contact—right before your eyes. A powerful, fast-acting and convenient laundry pre-treater. Catch stains before they get into the wash, and you can get them out the first time—saving your clothes and your peace of mind. All it takes is a concentrated dose of OxiClean™ Laundry Stain Remover Spray and less than 10 minutes to let the formula safely soak in. Test first in inconspicuous area. Do not use on wool, wool blends, silk, silk blends, leather and fabrics labeled dry clean only. For best results, treat stains while still fresh. 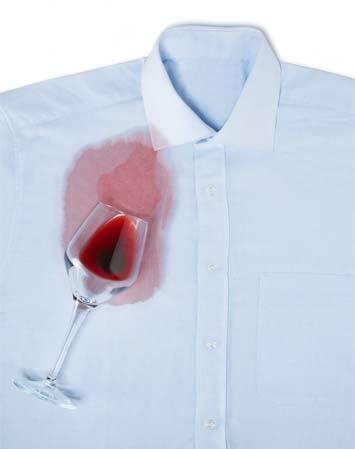 Some stains may require additional treatments. Do not let dry on fabric. Always follow manufacturer's care label guidelines for the item being cleaned. Spray directly onto the spot or stain until saturated. Rub into fabric and let stand for up to 10 minutes depending upon the severity of the stain. Wash item with your normal detergent. 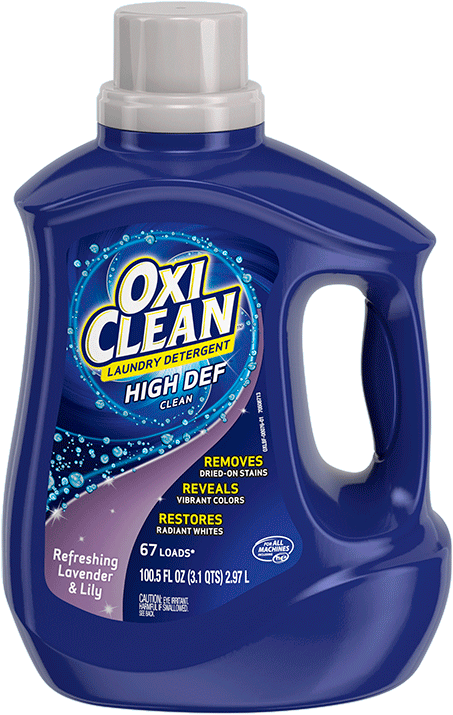 How did OxiClean™ Laundry Stain Remover Spray work for you? Finally used the next OXI CLEAN Laundry Stain Remover Spray. It worked wonders on difficult stains. Better than the other stain removed sprays we have purchased in the past. There are some stains that are a challenge no matter what. After an Italian meal at home, my tablecloth had both tomato sauce stains and butter stains. 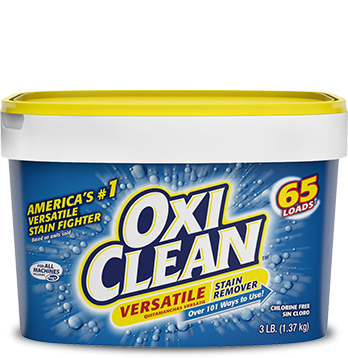 I was thrilled when OxiClean completely removed both the tomato sauce and butter stains. 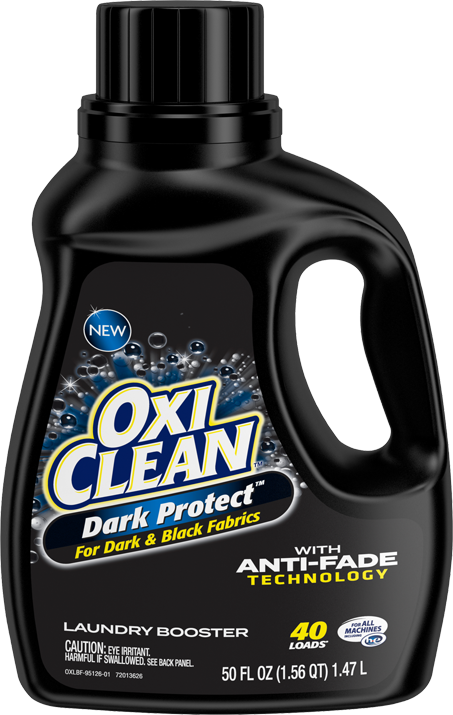 OxiClean kept me from throwing away my favorite tablecloth. 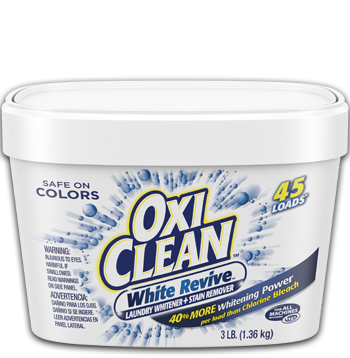 I keep OxiClean on hand all the time now to handle anyting that comes up. Yes, it is color safe. 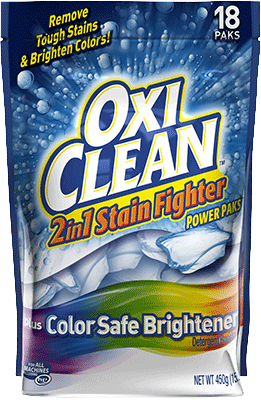 Does OxiClean™ Laundry Stain Remover have Optical Brighteners in it? 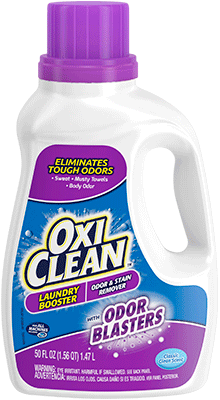 Can I use OxiClean™ Laundry Stain Remover to remove stains on my carpets? No. 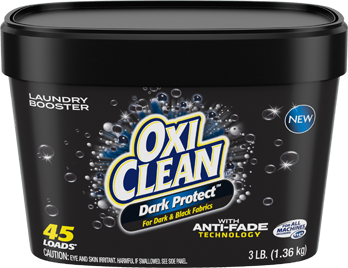 OxiClean™ Laundry Stain Remover can be used on laundry, upholstery, and hard surfaces but is not designed for use on carpets. 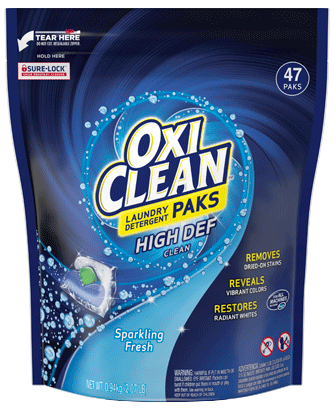 Can I use OxiClean™ Laundry Stain Remover on wool or silk items? 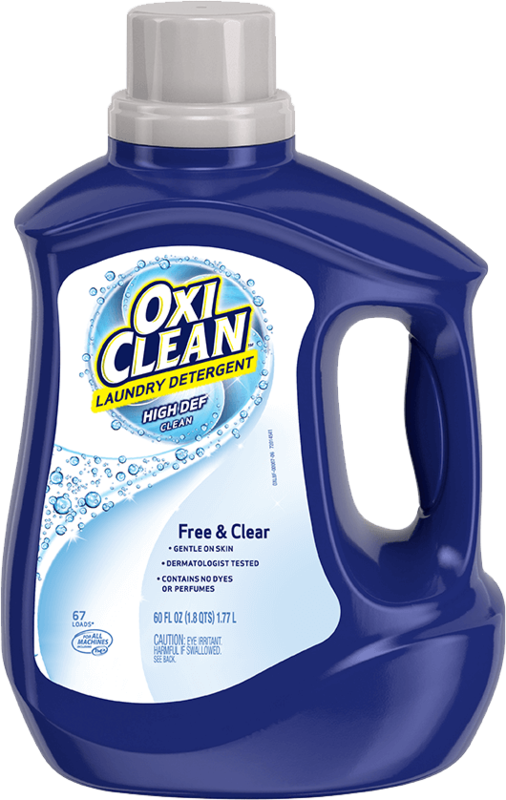 OxiClean™ Laundry Stain Remover is not designed to be used on wool or silk items and should not be used on wool or silk items. Can I just spray the stain and then leave until I wash again? No, the recommended time for spot treating is 5 to 10 minutes before washing the item. Repeat applications may be necessary for toughest stains. Always remember to test for colorfastness in an inconspicuous area before using the product.